Five years after stunning the comic-book world with their award-winning Vertigo miniseries Daytripper, siblings Fabio Moon and Gabriel Bá are teaming up again with Two Brothers (hitting comic stores October 14, bookstores October 27), a new graphic novel from Dark Horse Comics adapting Milton Hatoum’s novel The Brothers. 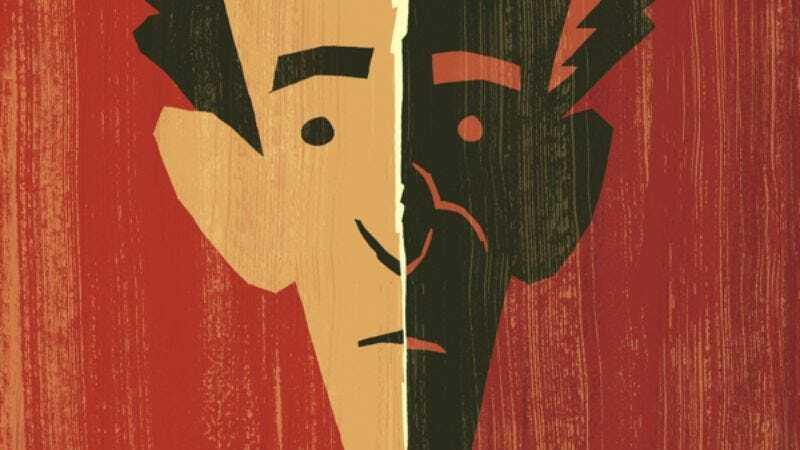 A graphic novel adaptation of a Brazilian writer’s story about Brazilian twins by Brazilian cartoonist twins is a perfect match of creators and content, and Two Brothers is a beautiful, poignant take on the source material. Hatoum’s novel tells the story of Omar and Yaqub, estranged twins of drastically different temperaments, and the adaptation is a stirring exploration of complicated family dynamics through the bold, expressive visual style of Gabriel Bá. Whereas Daytripper featured full-color artwork by Fabio Moon and Dave Stewart, Two Brothers has Bá working in stark black-and-white, showcasing his masterful understanding of contrast and shading. This preview of Two Brothers highlights Bá’s artistic talent with a sequence overflowing with rich atmosphere as it depicts the sultry dance of Dália, Omar’s latest companion. Bá’s dynamic linework brings a graceful musicality to the page, and he uses the contrast of his inking to accentuate movement and heighten the emotion as Omar falls under the spell of Dália’s body. Bá doesn’t need any words to bring Hatoum’s story to life, and the clarity of his visual storytelling dramatically enhances the impact of the script.